The 2014 Joint Air Power Competence Centre Conference was held between 18 and 20 November in Kleve, Germany. It explored the ideas and conclusions from the JAPCC Future Vector Project and debated where NATO air and space power should aim to develop to meet the challenges unfolding in the wake of operations in Afghanistan and the changing security environment that had developed during 2014. These Proceedings consolidate the key note address, the panel discussions and the audience interventions to form a summary reference of the event and to offer points for future consideration and development. The document does not record the minutes of the Conference; rather, it highlights the major themes, drawing together thoughts and ideas from all elements of the Conference. 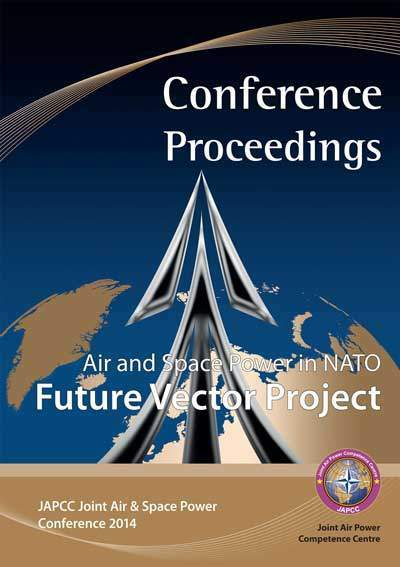 Importantly, because the Future Vector Project authors have already published their essays, no attempt is made to summarize their main points – these are amply addressed in the ­3 volumes published by the JAPCC and distributed in advance of the Conference along with the Conference Guide, which added further perspective in the aftermath of the NATO Summit in Wales. It is important, however, to record that this JAPCC Conference benefitted enormously from the availability of the Project essays, the coherence between them, and the harmony that the authors were able to bring to their presentations. It was a first class Conference and set a new level of achievement. In the spirit of Chatham House Rules, we have ensured that no statements, opinions or ideas are attributed to any particular individual.